The primary goal of science is to not just learn about things for ourselves, but to share what we’ve learned with other people. Sharing with the public is why I started this blog. I know I stopped posting before I had really gotten into the details of our research, but I hope this was at least a bit of a primer. 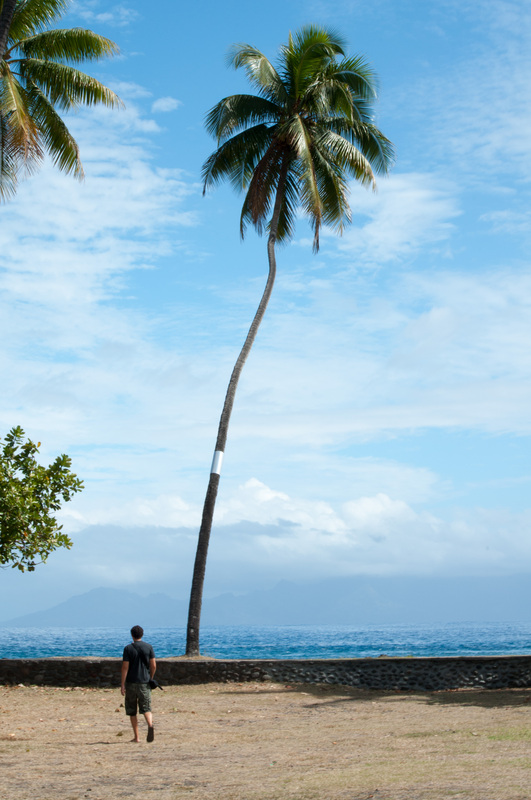 Since I returned from French Polynesia, a lot has happened. Firstly, I started a second blog, which began with another field expedition (this time to Australia), but which I intend to keep going even while I’m not abroad. It’s called The Cnidae Gritty, and builds off the practice I got writing this one. Check it out. Secondly, it is important as researchers that we publish detailed descriptions of our experiments and studies so that other scientists can verify our methods and conclusions. 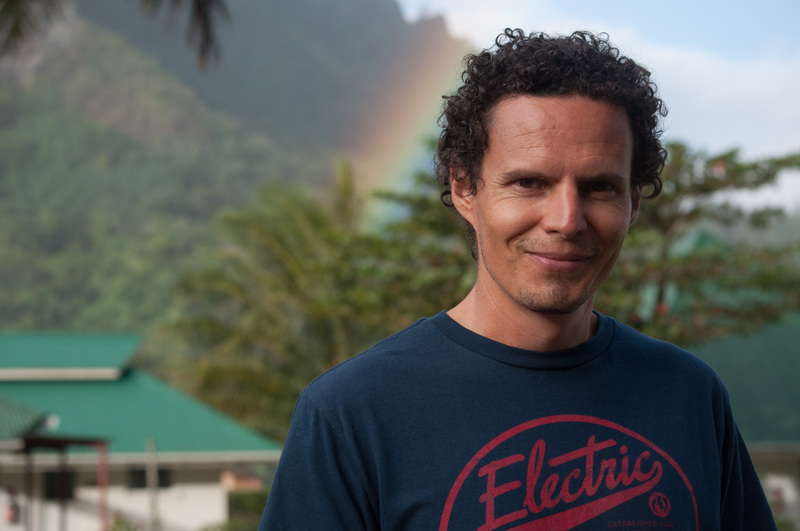 We have succeeded in doing this for the work we did in Mo’orea. If you want to see what the results of our research look like, check out our paper in the journal Frontiers in Microbiology. 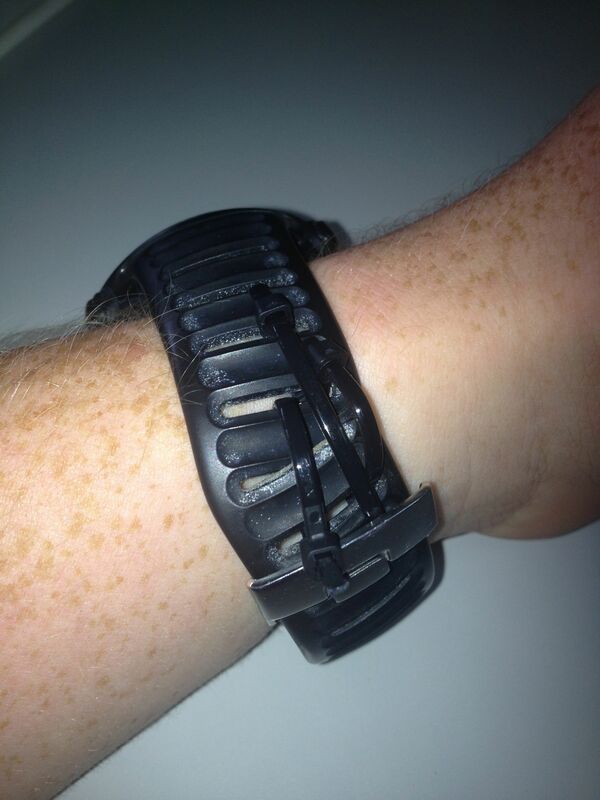 This Irishman got a bit too much sun the other day. 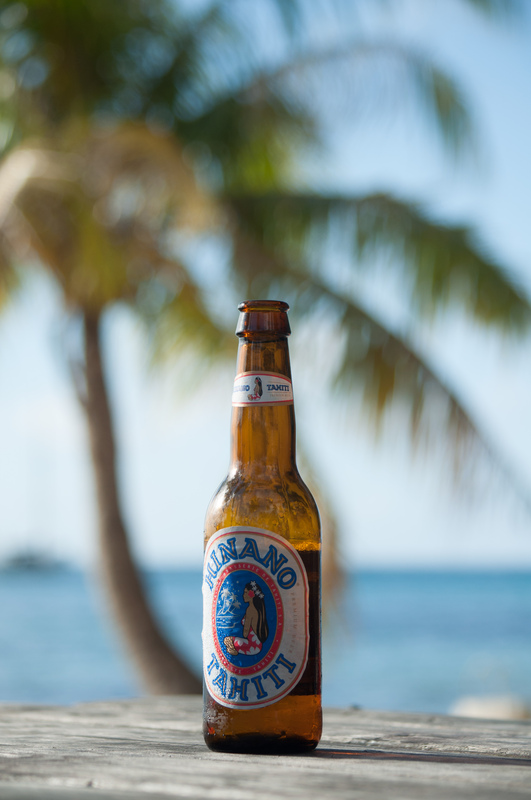 Still, what do you expect when you’re marooned on a tropical atoll? 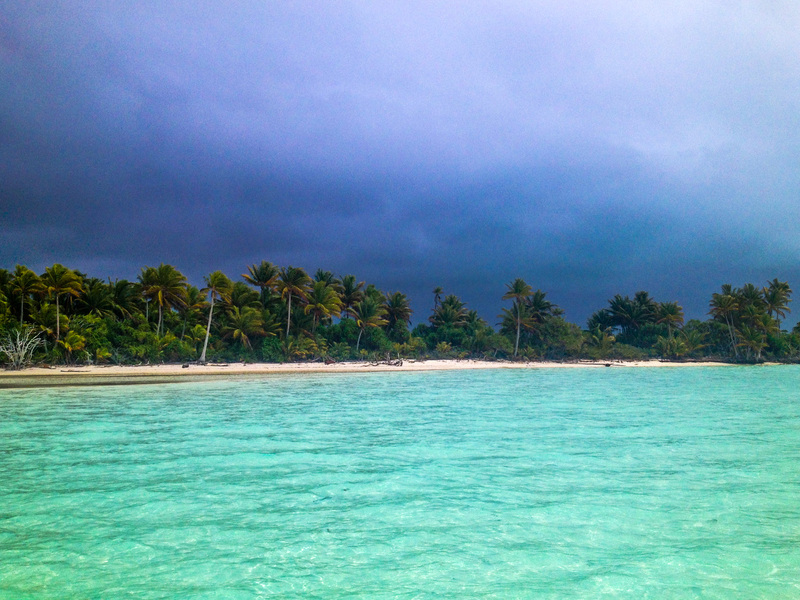 We traveled to this atoll, Tetiaroa, to get a bit of outside perspective on the viruses in the region. Since Jerome is comparing viruses of different sub-habitats within Mo’orea, it will be interesting to see if those differences can be seen in similar systems nearby. It is possible that the large body of water between the islands creates a geographic barrier which prevents the transmission of viruses from one lagoon to another. But we don’t know yet! To get to Tetiaroa, we took advantage of some new friends we recently made over at a nearby American research station. The station (Gump) is located just in the bay next door to ours, is run by UC Berkeley, and hosts researchers from lots of different American universities. 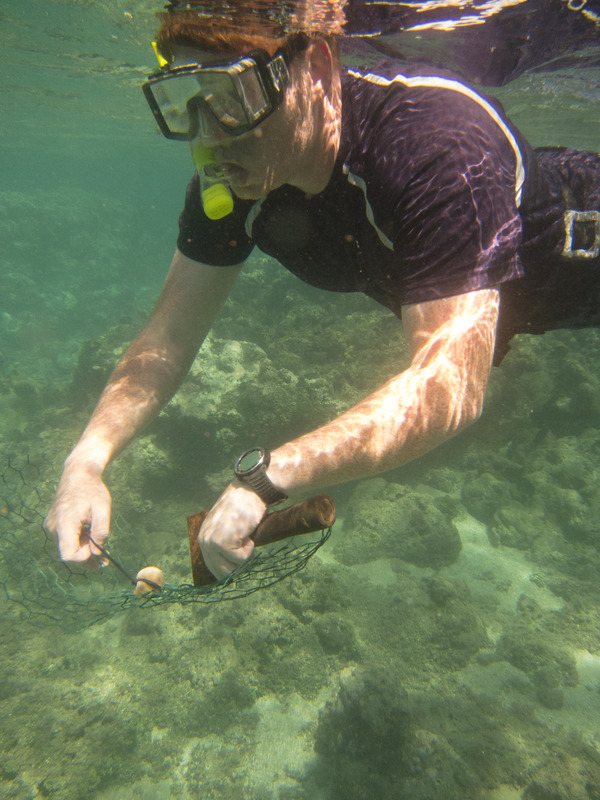 We were planning our own trip to Tetiaroa through CRIOBE, but it turned out that one of the Gump researchers needed volunteers to collect specimens for his own island interconnectivity study. In exchange for helping, we got a free ride! 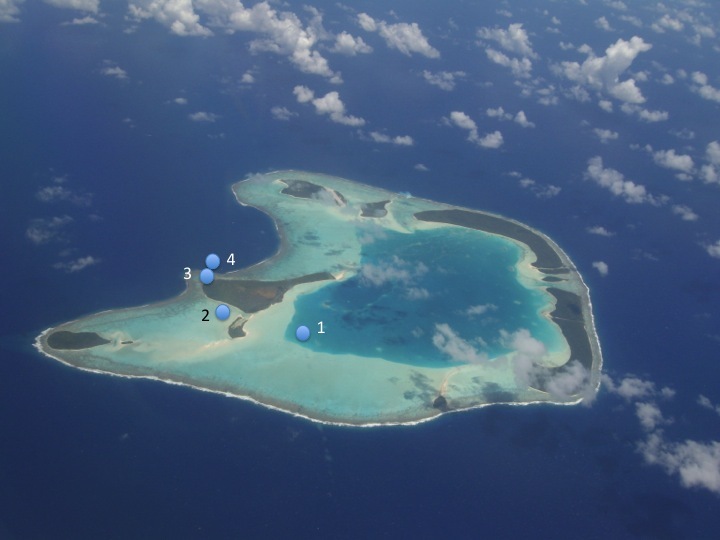 An aerial view of the atoll of Tetiaroa (thanks Wikipedia). 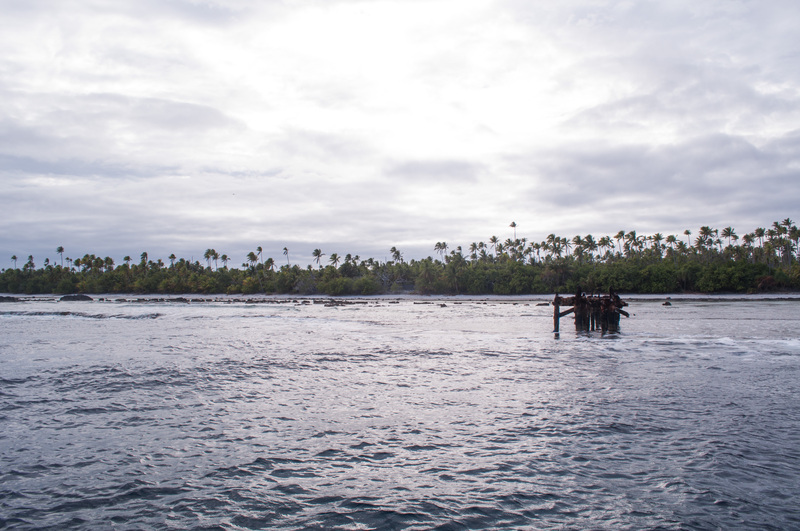 After helping the Gump-ers, we took water samples at each of the points – a deep inner lagoon, shallow lagoon, reef crest, and fore reef. 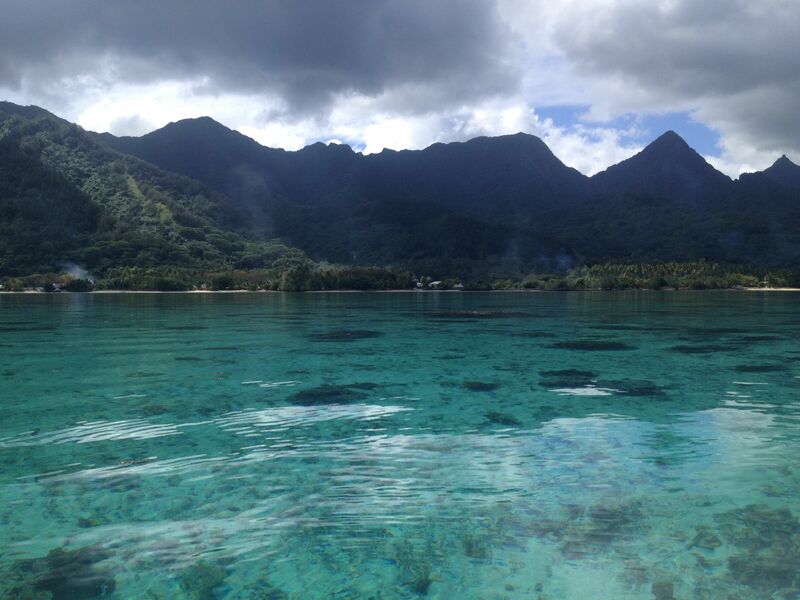 We also took a sample of water halfway between Tetiaroa and Mo’orea on our way back. Tetiaroa is a pretty awesome little place. 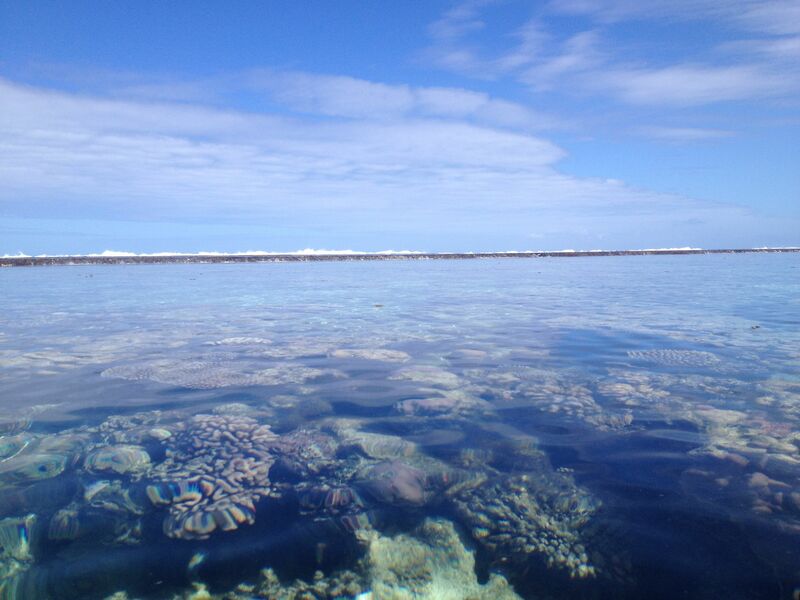 Like all atolls, it consists of a ring of flat, low-lying coral islets which surround an inner lagoon. And it has some interesting history. In recent times, it was privately owned by Marlon Brando, and he allowed researchers to visit regularly. 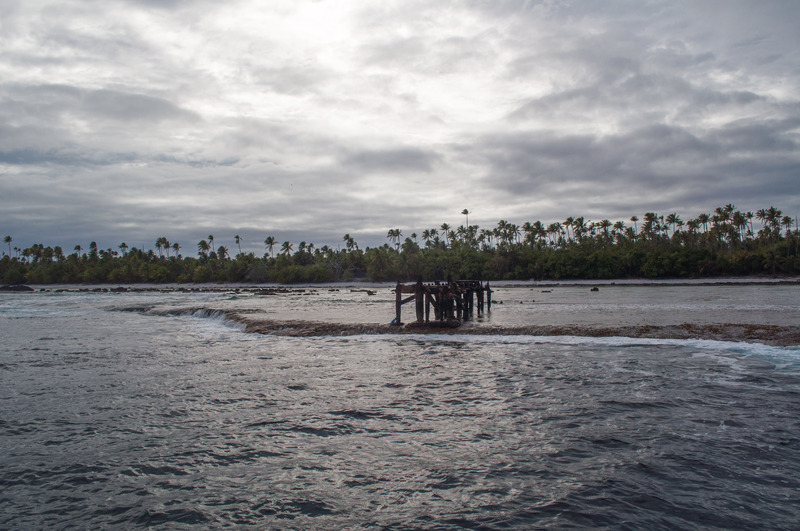 In less recent times, it was a sacred retreat for Tahitian royalty, many of whose remains are buried on the islets. 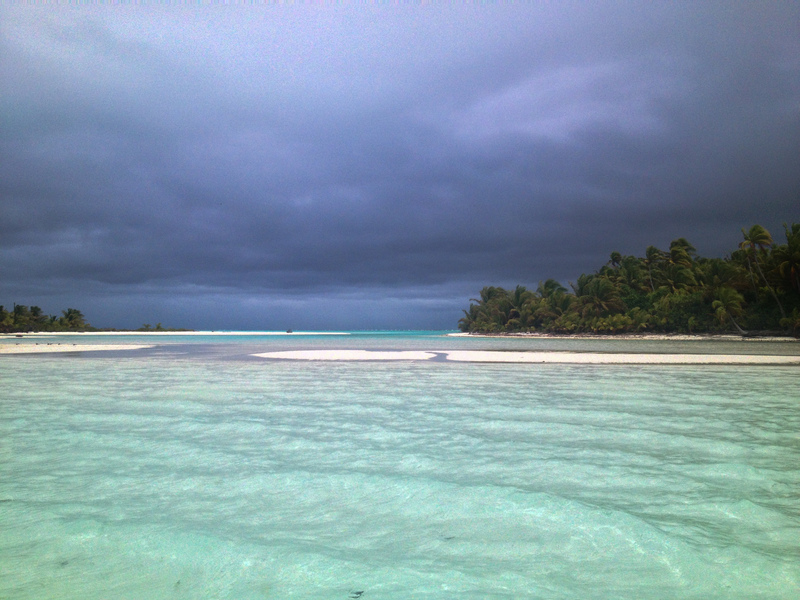 But wayyyy before that, Tetiaroa looked rather different. 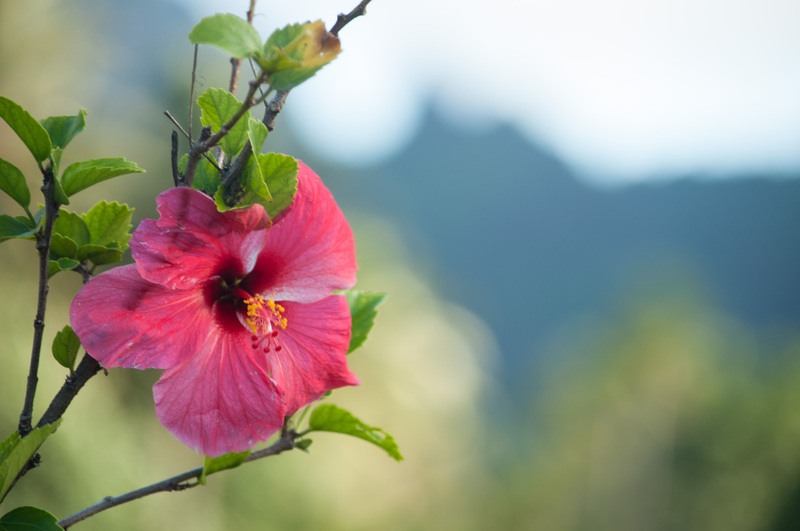 In fact, it might have looked something like Mo’orea or Tahiti at some point – a single, steep volcanic island surrounded by a shallow lagoon and reef. And before that, maybe something like the Hawaiian or Galápagos islands, which are bigger and have no shallow lagoons surrounding them. 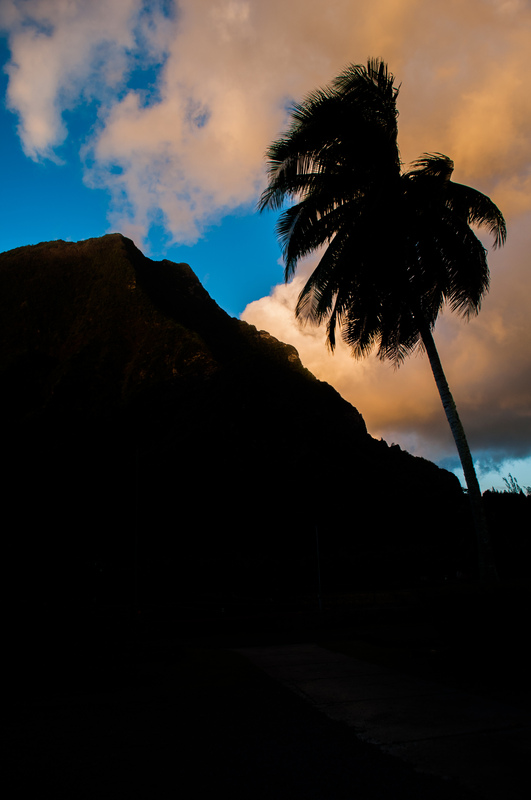 This is the natural evolution of many tropical volcanic islands: First, volcanic activity builds up a large mountain. The big island of Hawaii and the islands of Isabela and Fernandina of the Galápagos are still at this stage, actively erupting and growing. 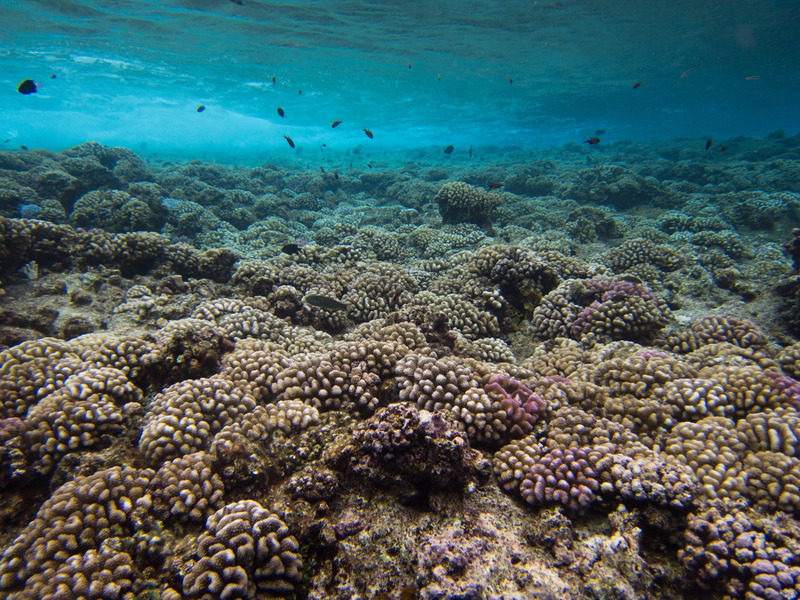 Coral reefs are initially less developed near these islands because the only water shallow enough for corals is constantly being replaced by new lava flows. 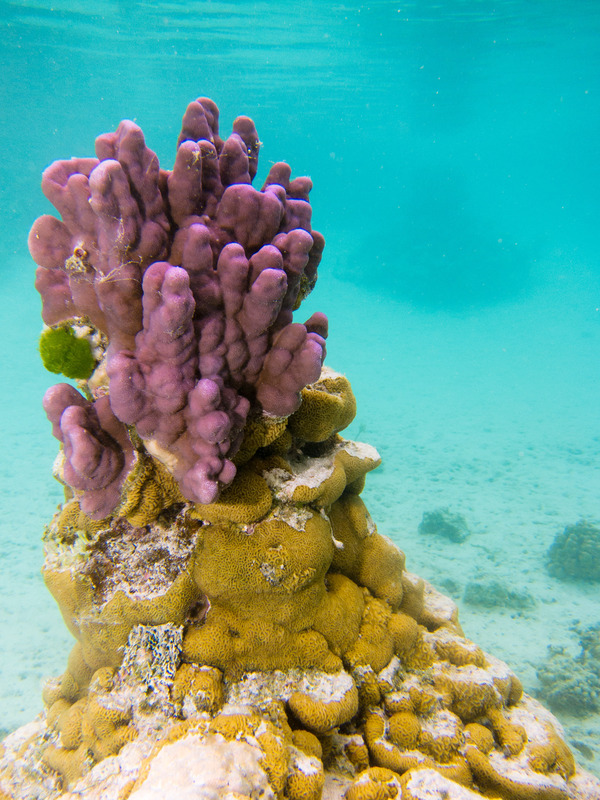 Then, as volcanic activity slows, corals get a chance to build larger structures and form ‘fringing reefs’ immediately beyond the shore of the island. As time passes, two things generally occur to these islands: coral reefs continue to grow, and the island itself begins to sink and erode. 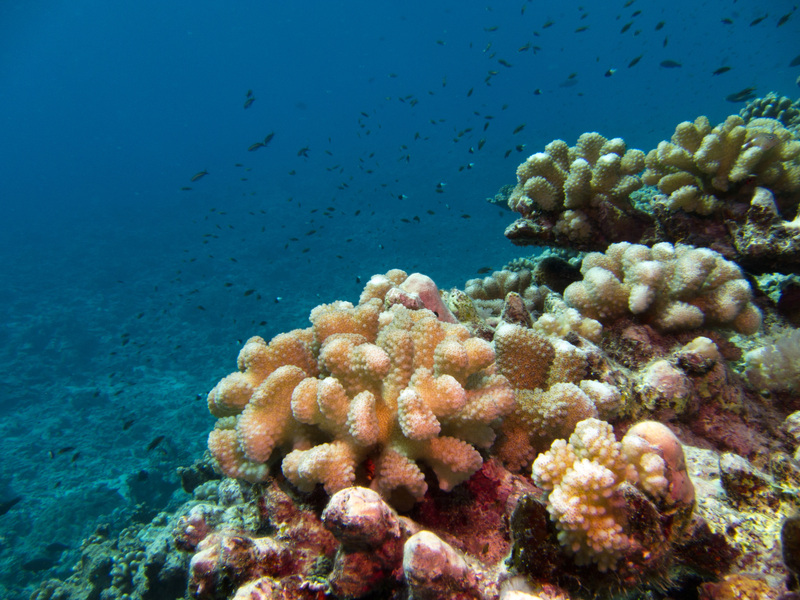 Consequently, the original coral reef appears to move outwards from the shore of the island as corals build up on the outer slope. 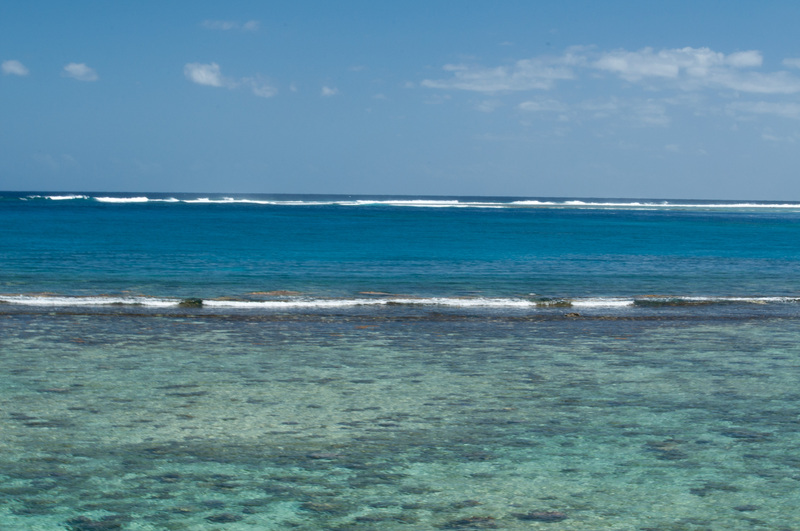 Eventually, the original fringing reef becomes a ‘barrier reef’, and a lagoon forms behind it. 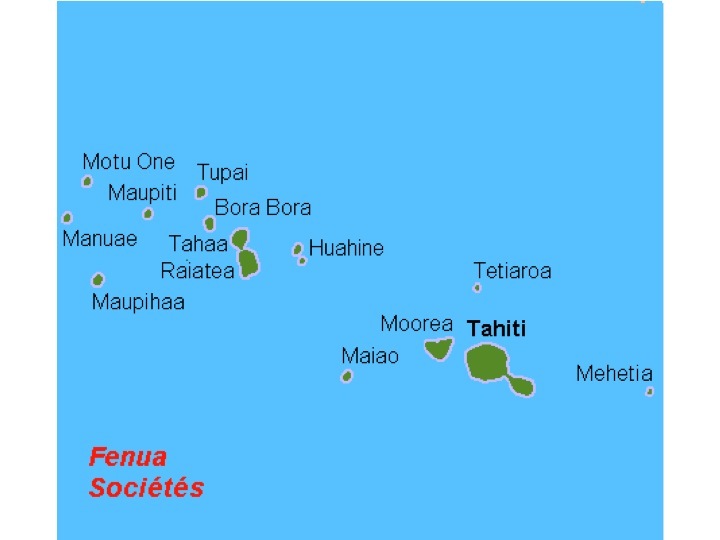 This is the stage at which we find Tahiti and Mo’orea. 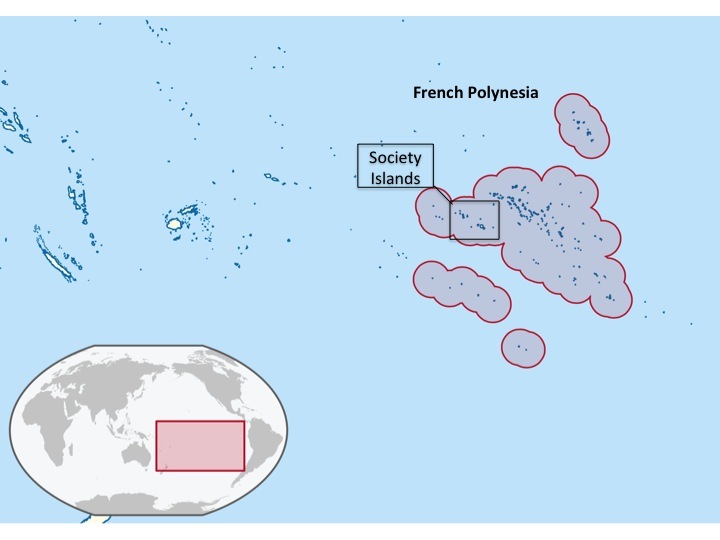 Millions of years later, when the original volcanic island itself sinks below the water, all that is left is the constantly growing coral ring, and we have an atoll like Tetiaroa. The islets around the ring are consequences of relatively recent sea level drop (i.e. 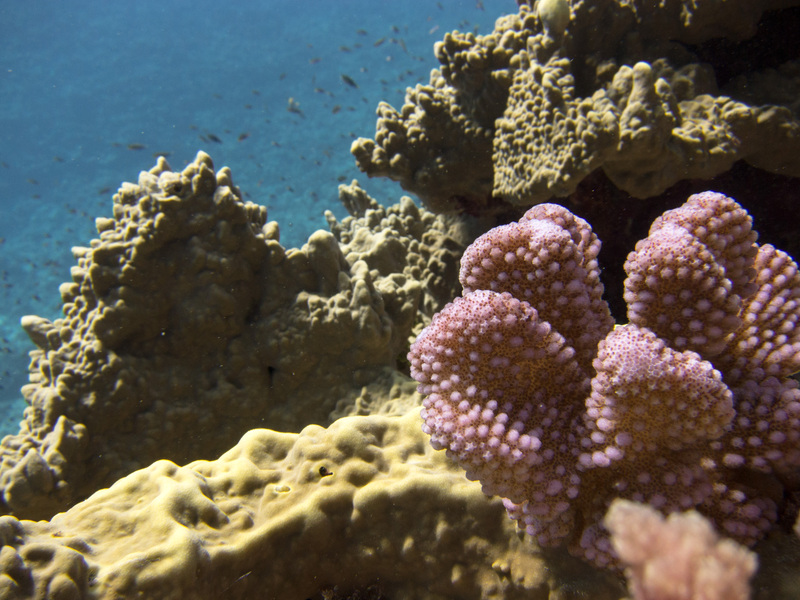 thousands versus millions of years), which left the highest points of the reef exposed to air and allowed plants and such to take hold. Of course, as sea level is once again rising, these islets all face the threat of inundation once again. Another interesting factoid: this theory of islands’ geological histories was first described by Charles Darwin. Although he is of course most well-known for his theories involving biological evolution, this contribution to geological theory was not trivial. In fact, it was initially rejected by many prominent geologists for some of the same reasons biologists rejected natural selection, including the massive amount of time required for these processes to occur. 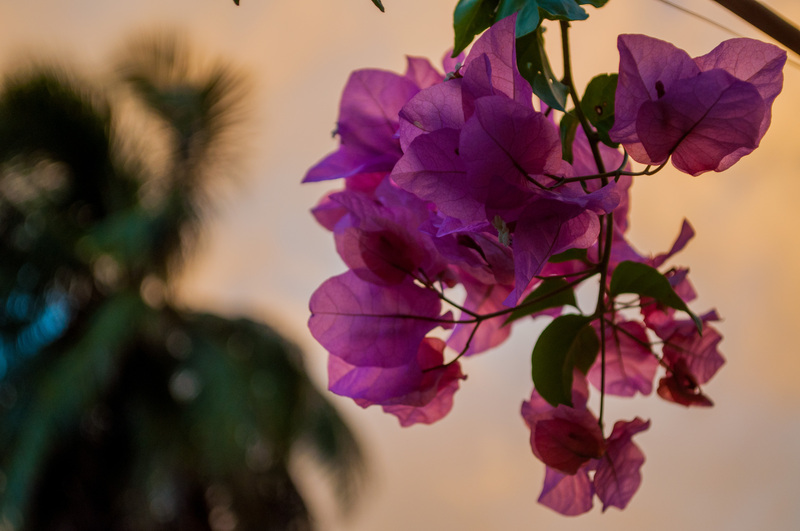 It is not much of a coincidence that Darwin formalized both theories based on the same voyage – once he primed himself to accept gradualism and incremental changes in geology, it was only natural to extend these concepts to biology. … Wave out. We had to swim up to the ledge, which was about 4 feet above our heads when the waves flowed out, and wait for another wave to lift us up onto it. 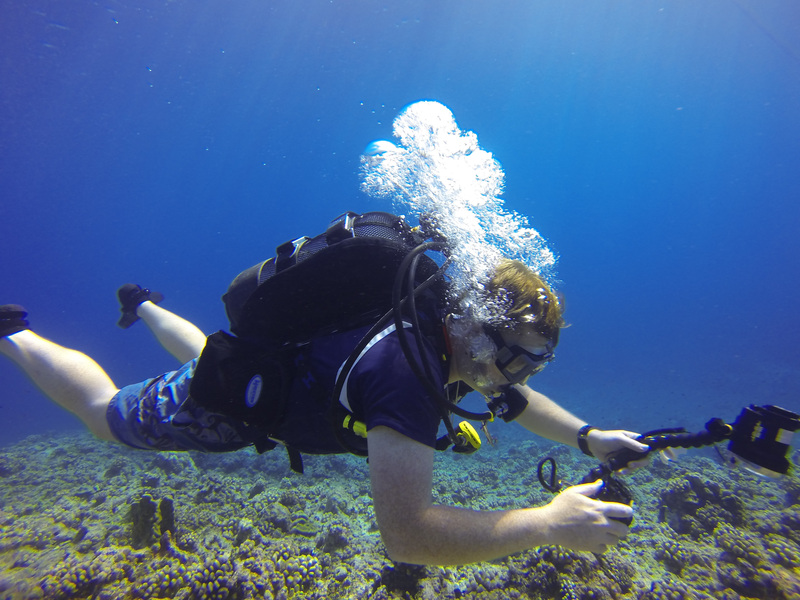 It was kind of neat to be plopped right down on the ledge as the water flows out around you, but then you had to quickly roll along the reef while holding all our sampling gear and taking fins off before the next wave came and dragged you back out! A crown of Porites lobata on a pedestal of… something my Caribbean-trained self thinks looks sorta kinda like an Agaricia of some sort? Probably the most beautiful little patch of reef I’ve ever been able to take a picture of. 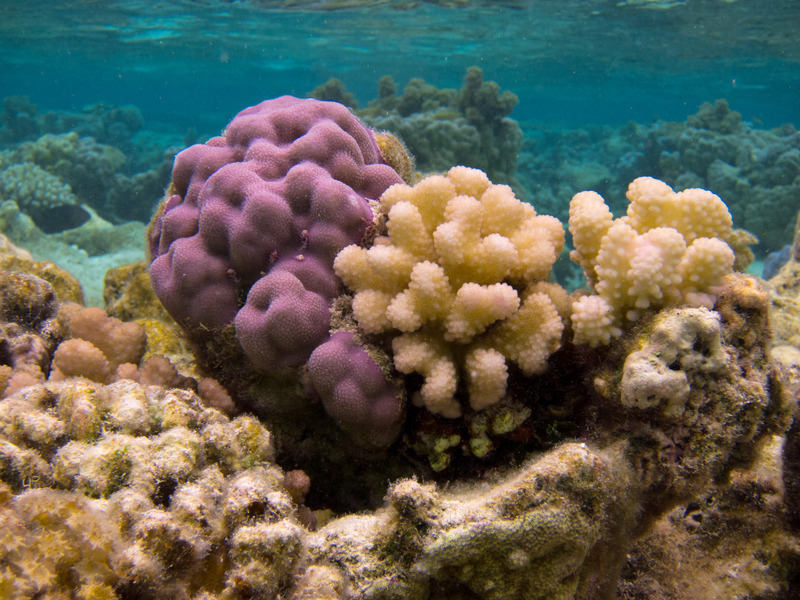 Most of the coral is Porites lobata, but there are like four different color morphs in this picture. The reef crest was just stunning out there. And this sight is even more stunning when full of all the fish, which were just scared away before I could take the picture. 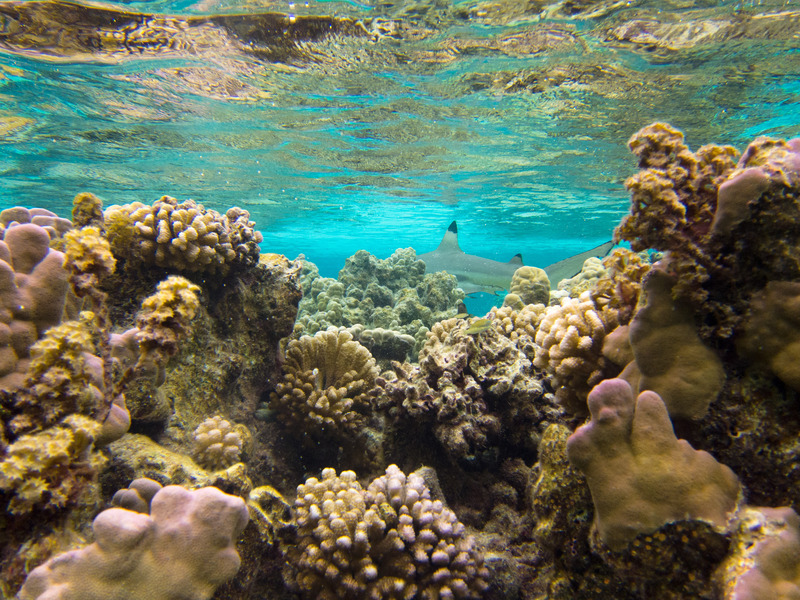 A couple of Blacktip Reef Sharks were circling while we were doing our work. Acanthaster planci, the Crown-of-Thorns Starfish, is very evil looking. 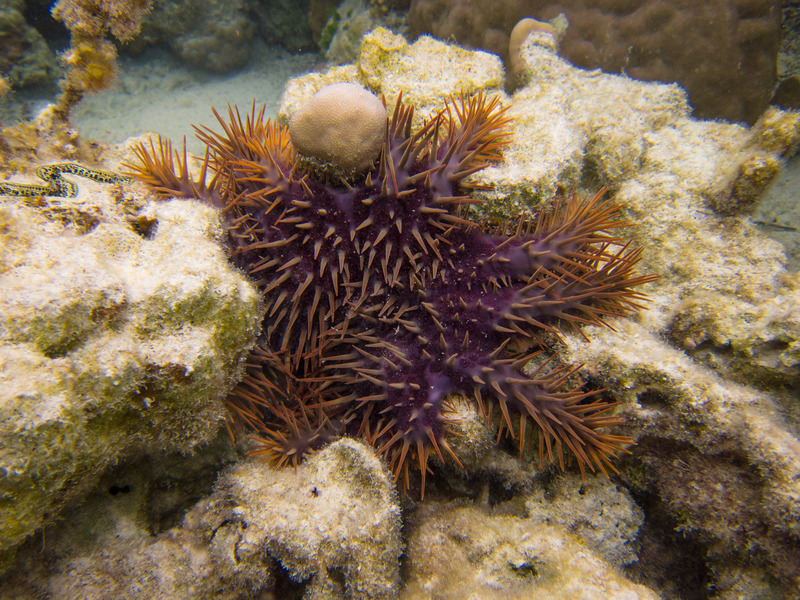 Aside from the fact that its spines are extremely painfully toxic, this starfish eats corals and is the direct cause of the devastation of entire reefs in the South Pacific. 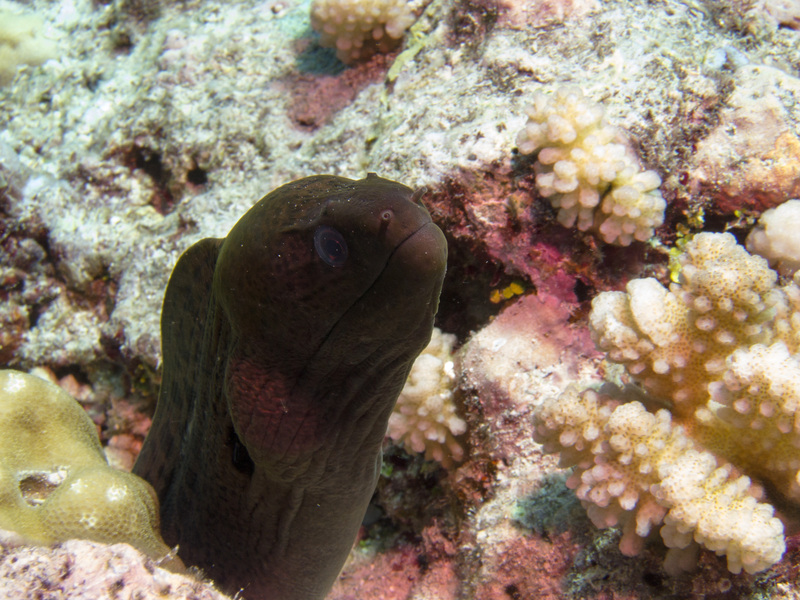 At this reef, we only saw about three, which is normal and healthy. However, certain conditions can cause outbreaks of thousands, which cause irreparable damage. 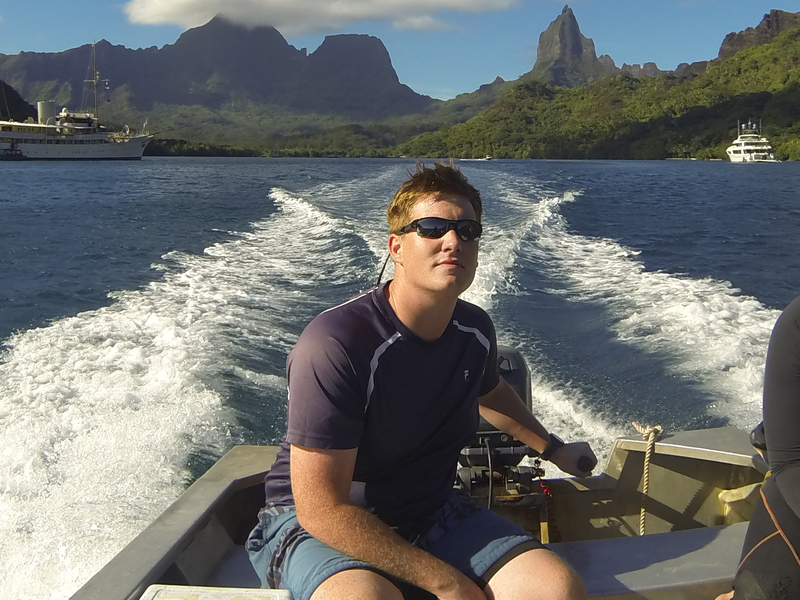 So that was our Tetiaroa trip! Thanks go out to the Gumpers for giving us a ride, teaching us about a lot of the local species and such, and for a good time. 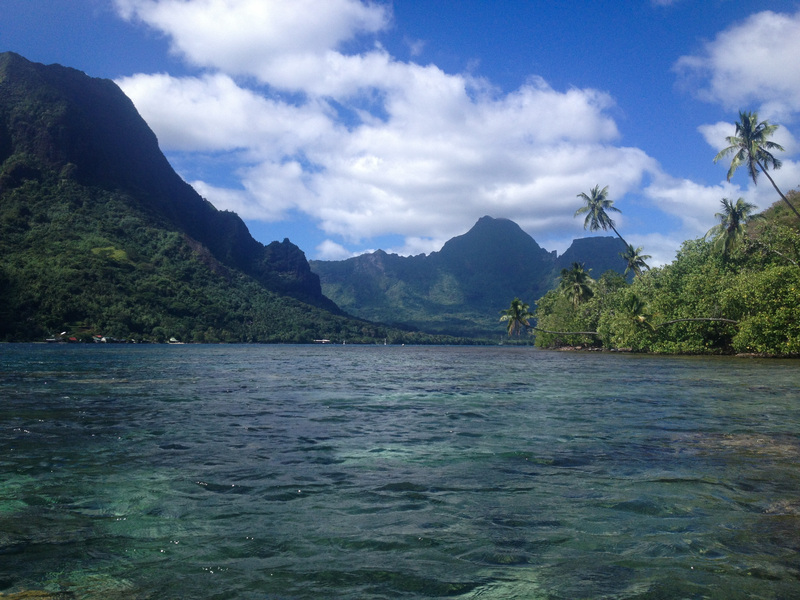 Since the trip, we’ve finished up our transects on Mo’orea itself, and we’re ready to relax a little while we wait to wrap up our nutrient experiment in a little over a week. Phew! Fieldwork is exhausting! Combine sudden high winds, subpar anchor placement, and a tennis ball as a bilge plug, and what you’re left with is one goodbye to your sunglasses. RIP on the bottom of the bay, my polarized friends. The tragic loss of my optical style occurred yesterday after we finished refreshing the nutrient diffusers for our experiment. During a short but fierce bout of wind and waves, our boat had dragged its anchor loose and had found its way into some very shallow rocks. While attempting to extract it from said rocks, we bumped the drain plug (/tennis ball) and the waves soon swamped our precious craft. In the ensuing mayhem (which occurred only ~50m from shore), we are happy to say that we lost nothing else! Lessons were learned about double-checking anchors, etc., even when close to shore and in a normally calm area. 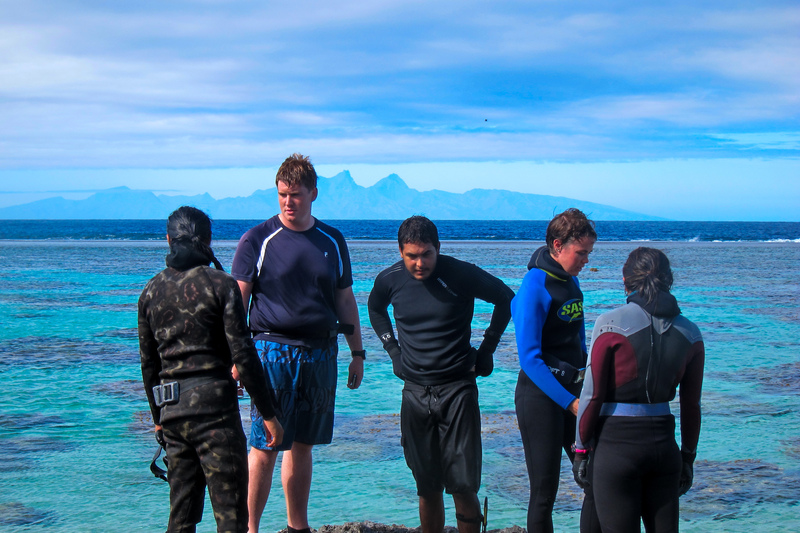 At some point during our trip, I plan to collect some coral tissue and mucus samples from a variety of coral species. We are planning a project to describe the basic diversity of microbial associates of corals across a wide range of locations and coral types, and I want to do a trial run with samples I take here. 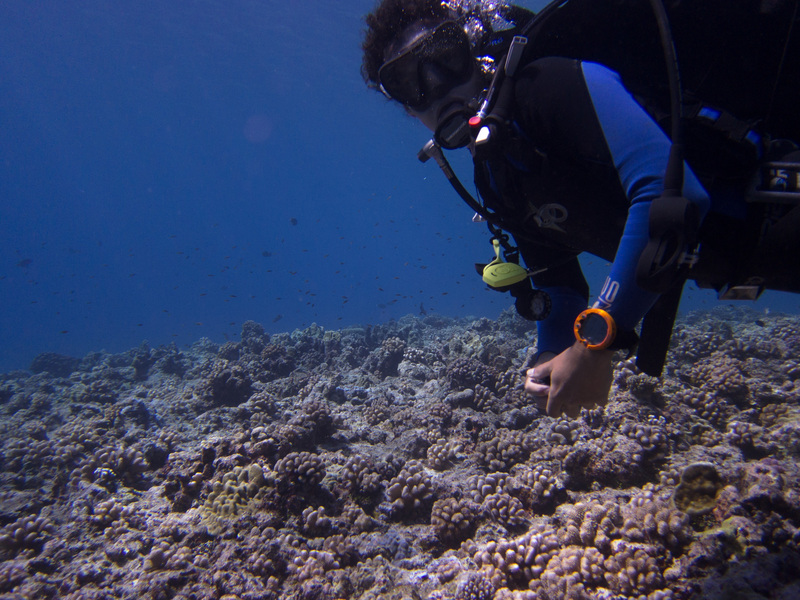 Our dive on the outer reef helps me get an idea of the coral diversity on the island so that I can make an educated decision of how to do my sampling. But the main purpose of the boat trip was to collect water from a number of points on a transect. It extended in a straight line from the shore to the outer reef. Jerome is going to look at how the diversity of viruses in the water changes depending on the distance from shore. We expect it to be quite interesting due to the distinctly changing environments which we encounter along the transect. For example, in the North, there is a distinct ‘fringing reef’ very close to shore, then a deeper channel area with a mostly sandy bottom. 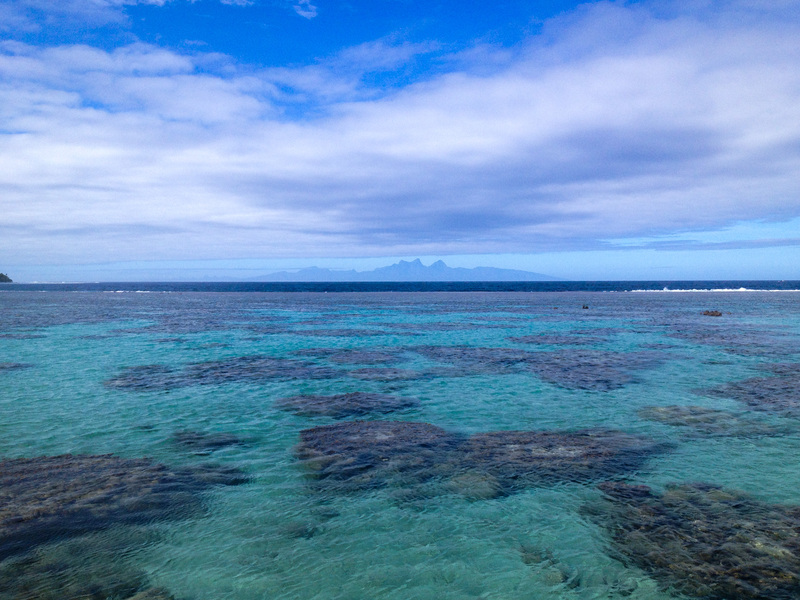 On the outer edge of the channel, the ‘barrier reef’ begins – the lagoon side of this reef is flat, shallow, and calm, and we refer to it as the ‘back reef’. The highest point in the barrier reef is the ‘reef crest’ – it is often completely exposed to the air and in some places forms small islets. On the other side of the reef crest is where we find the ‘fore reef’. 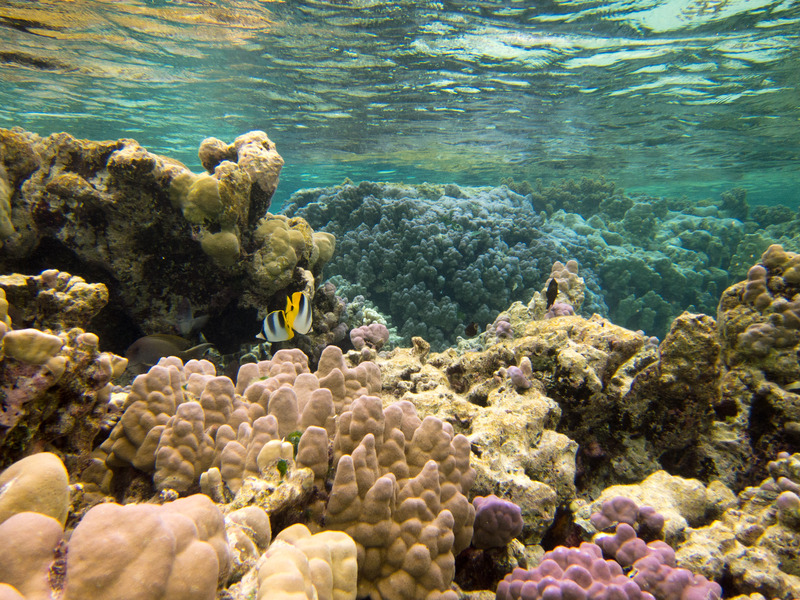 This reef gets hammered by waves in the shallower parts, but quickly drops off to deeper water. This pattern occurs all around the island, although the zones are sometimes less distinct. 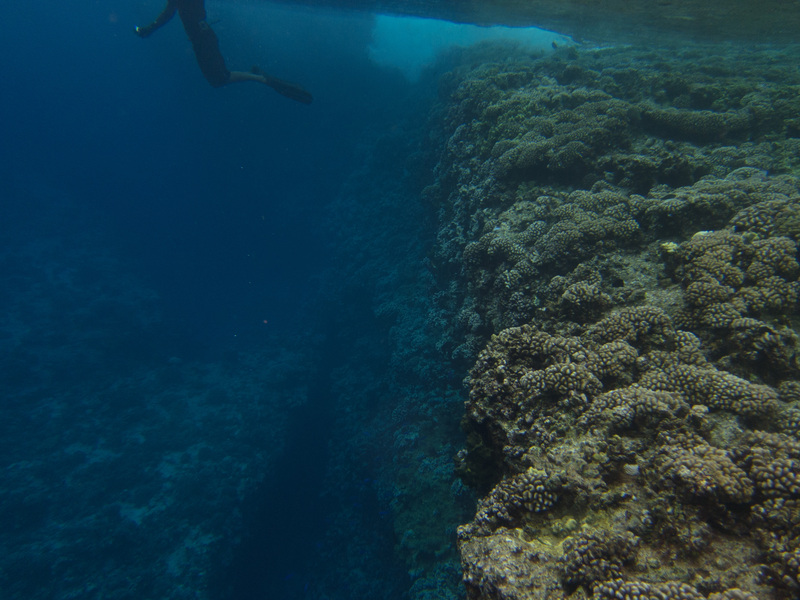 The way these reefs form is fascinating – it was actually first described by Charles Darwin based on his observations aboard the Beagle. 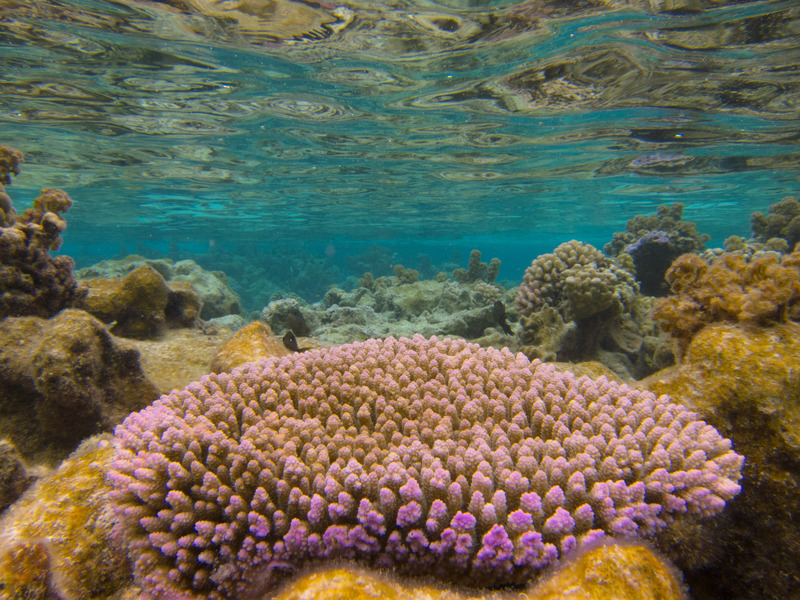 But I’m going to go over that in detail in a future blog post (after we travel to beautiful coral atoll this weekend!). Waves break just past the exposed reef crest. Backreef structures are just under the water in the foreground. 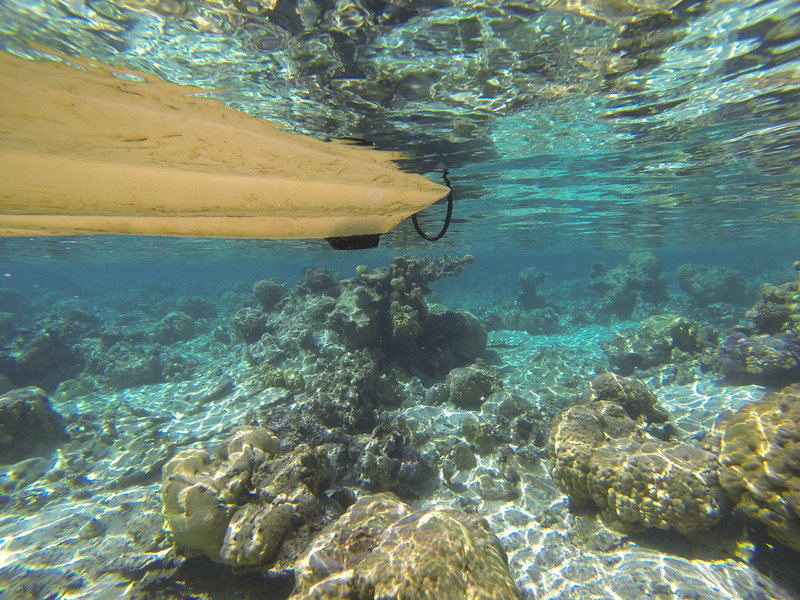 Over the last few days, we have taken samples from similar transects in the North, South, and West of the island. 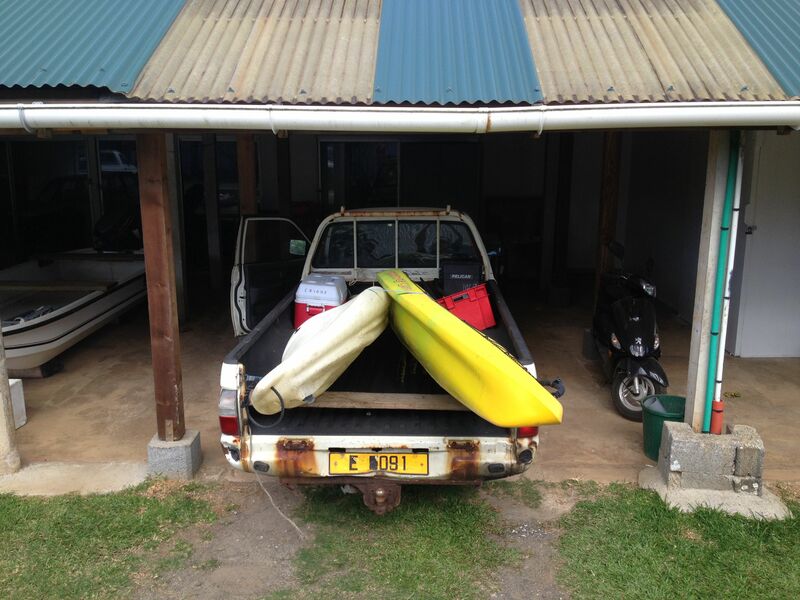 In the South and West, we took kayaks out to do our sampling. We did some of that today. Real science, I mean. What we’ve done is fragment a single coral colony into a number of pieces that will be either caged and left alone, like this one, or caged and placed in the proximity of a diffusing bag of fertilizer. 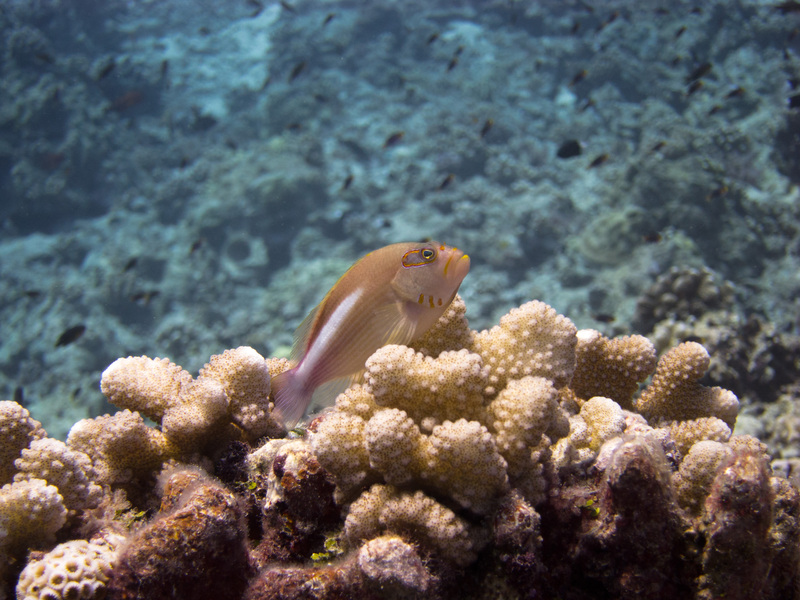 The cages are just a way to minimize complications such as corallivory, and the important part is the difference in the corals exposed to extra nutrients. 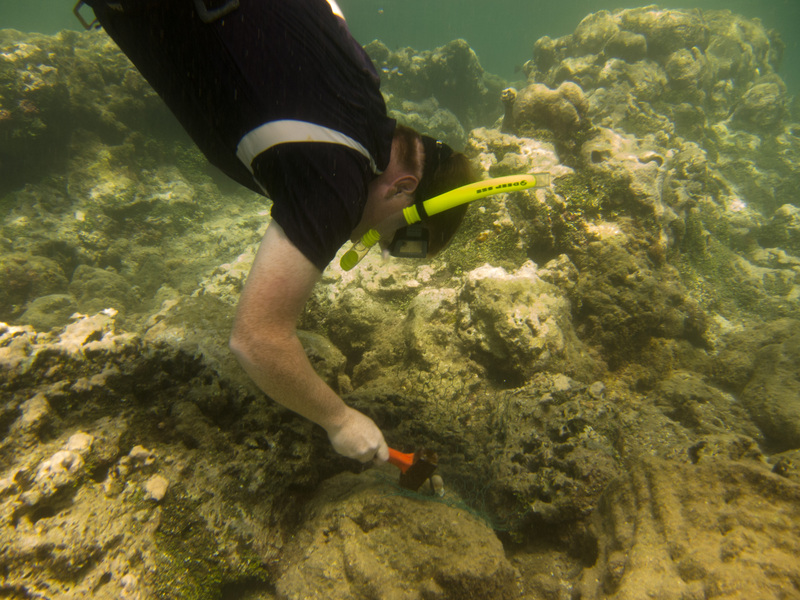 After the experiment is finished, we will look at the microbes in the coral tissue and in the surrounding water; we expect that extra nutrients will cause the microbial community to be different between these treatments. Such differences could be related to disease. 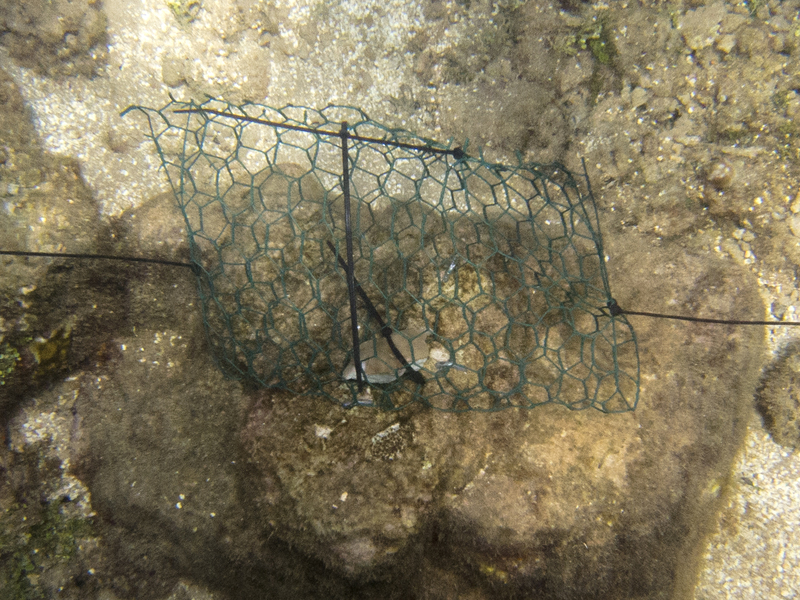 We set these cages up while freediving and hammering nails into rocks. 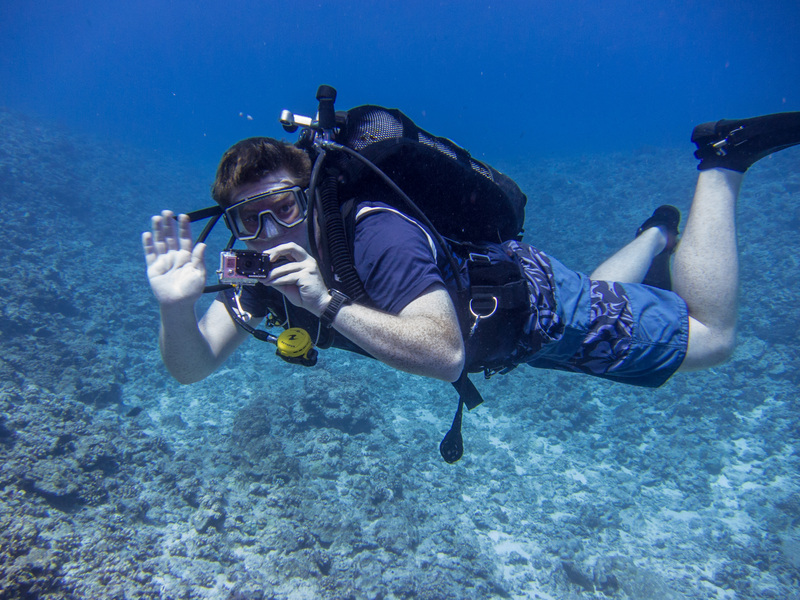 Since all the fringing reefs we’ve found have been at less than ten feet of depth, we thought snorkeling would be easy enough. After a few hours of somewhat successful construction efforts, we packed it in and decided to come back in the morning. As we were leaving, a friendly local gave us papaya and grapefruits, and asked if we were aware of the excessive numbers of stonefish at the site. We replied that we had no idea that we had been walking around in shallows that were known to be infested with poison-spine bearing fish. We then promptly decided that in the morning, we would be taking a boat and diving. No more of those snorkeling from shore shenanigans. And tomorrow: water transects! If we’re lucky, a trip to the outer reef! Fellow North American researcher Sarah Davies has named this charming contraption Gerald after coaxing it around the island one day. We took him to a potential experiment site yesterday, and think it fits. Gerald has lost the movement of his windows and is missing two of his mirrors. He is also not fond of second or fourth gear, and loudly complains when we force him to drive either too slowly or too quickly. This state of affairs made us feel slightly out-of-place when we visited the Hotel Intercontinental – for science! Another potential site for our experiment – the Hotel Intercontinental. Conveniently located near a dolphin enclosure and landscaped paths to over-water bungalows. Ah, and its an easily accessible site with lots of monitoring by hotel staff to ensure the experiment’s not bothered. On our return from the hotel, I gained another life skill. Leech removal! Not sure where I picked the little guy up, but pulling him off with fingers didn’t work, nor did trying to shave him off with a knife. Luckily, Jerome’s girlfriend Christina, who is with us for the trip on a semi-vacation, was experienced with leech removal since a trip to Malaysia. Sure enough, a couple pinches of salt coaxed it to simply let go. 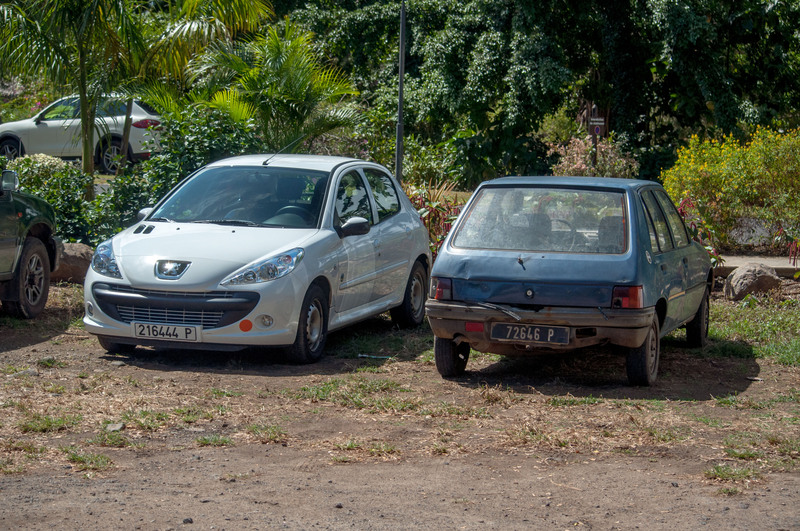 We’ve been at the French research station CRIOBE for two nights now, and we’ve been enjoying our stay. Since we arrived on a Friday afternoon, the station has been quiet and we’ve been taking it easy. But plenty has already happened! Meanwhile, our checked baggage apparently needed a little extra explanation as well. We imagine this is why one of our boxes did not make the trip with us. It apparently caught the next flight, however, and appeared at the station even before we made it ourselves! 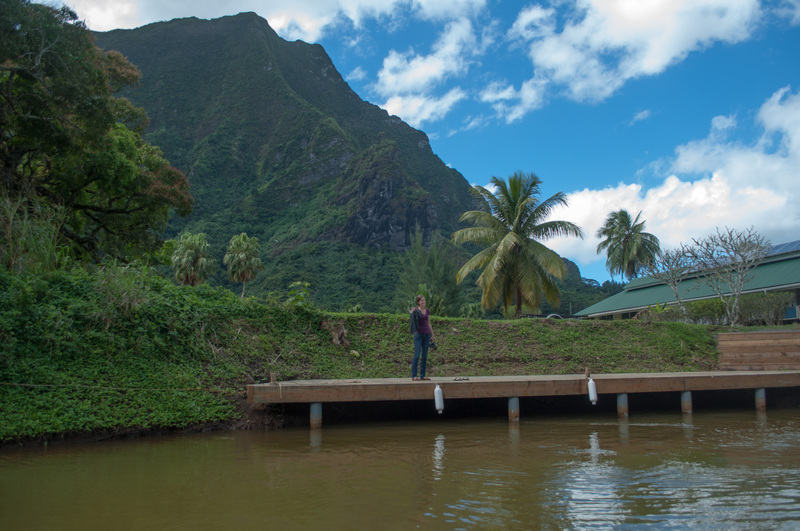 Since our arrival on Mo’orea, we’ve gotten a few different tours of the station, and have been wowed each time. CRIOBE is very well equipped. 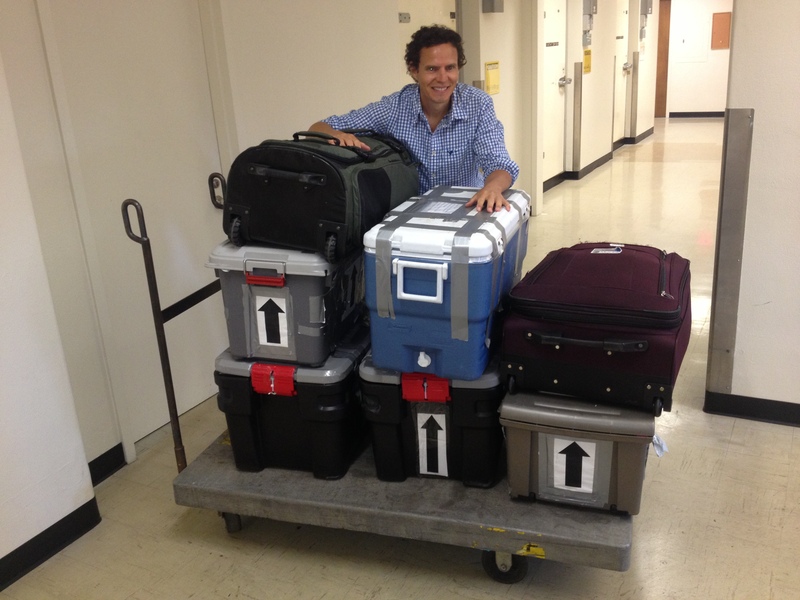 So well equipped, in fact, that we will be able to complete many analyses that we previously had planned to put off until our return to Oregon. This is very exciting because we will be able to process our samples to a point where they are much more stable for the flight home. We’ve taken advantage of the slow weekend to explore the island a little. We’re looking for a site to set up our experiment: it needs to be flat, accessible, and not prone to disturbance by random other people. This one isn’t as flat as we’d like it to be and could be a little too close to a boat ramp. The search continues! All in all, we’re in pretty good spirits, and it’s not hard to see why!